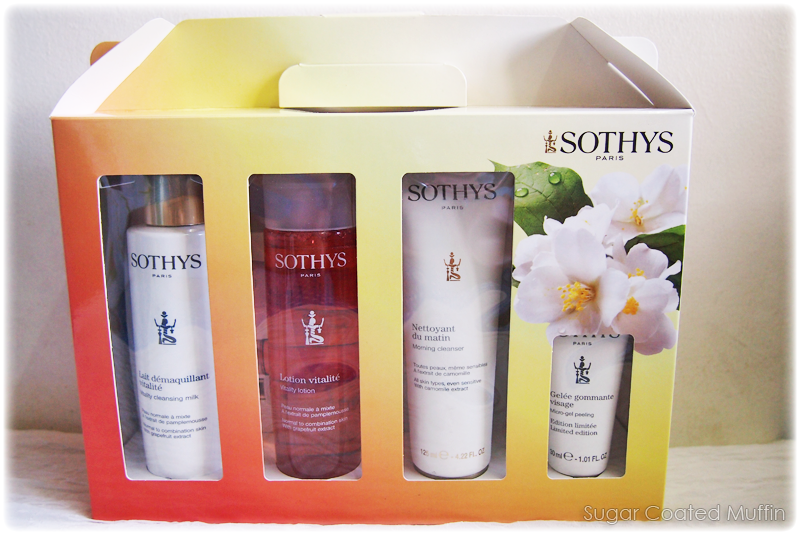 During my trip to Sothys previously, I got a box of their skincare to use. After trying them out for 2 months, I still look forward to using them! At first glance, I really like the simple yet elegant look of the packaging. It is of high quality too. 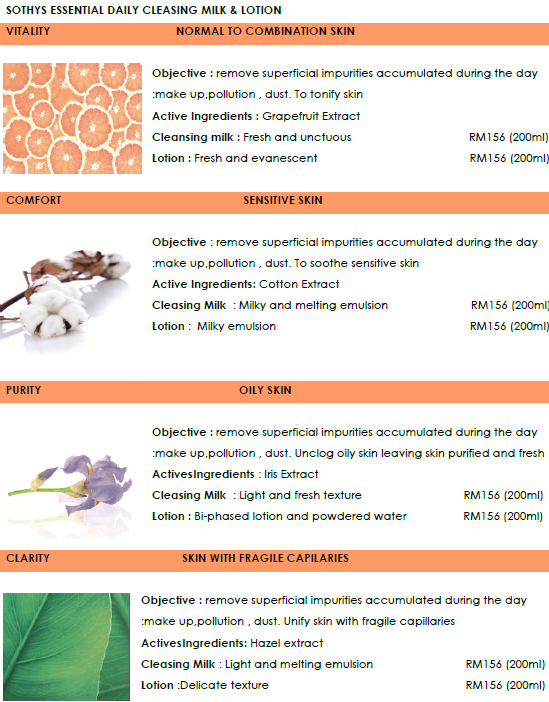 There are a few variants to suit different skin types. The left 2 are from the Vitality range. 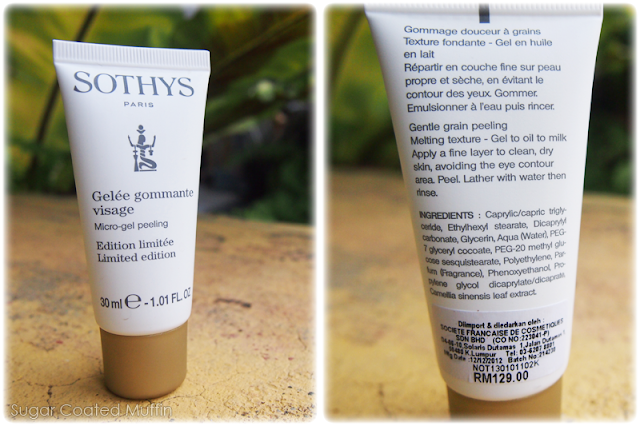 Original price of these 4 would be RM 629 combined but if you buy them in a set, it's only RM 488 which boils down to an average of RM 122 a bottle. Pump has never failed me over the past 2 months! It comes in a milky form which easily spreads as I massage it all over my face. 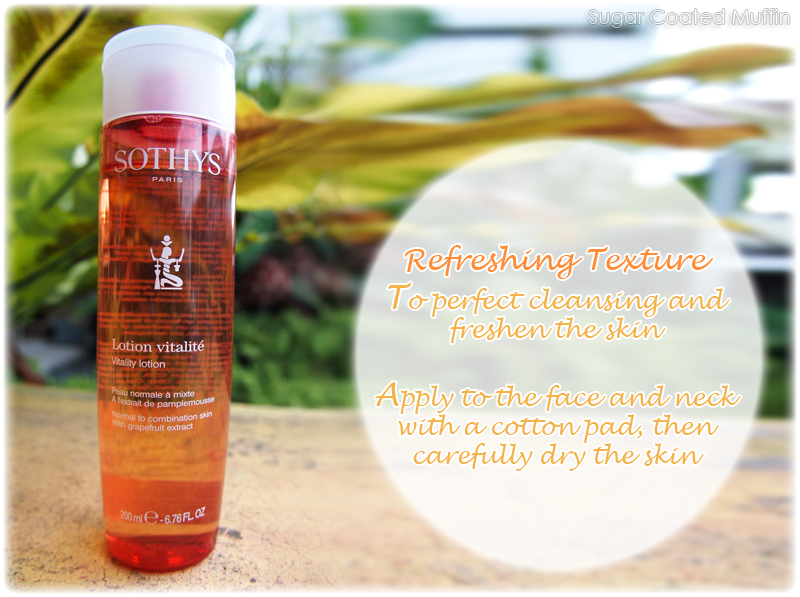 Be ready to enjoy the refreshing orangey scent to remove not only dirt and oil but stress accumulated during the day. Skin feels clean after but still strangely very baby soft as the milk is gentle. I use this even when I don't have makeup on. 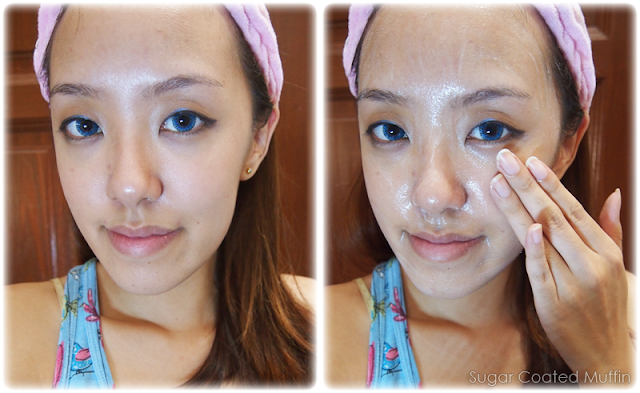 Regular exfoliating is good to remove dead skin cells so skincare penetrates easier. It also promotes cellular renewal, increases blood circulation and improves hyperpigmentation. Its specialty lies within its ability to change from gel to oil and then milk. The gel melts into an oily texture with tiny exfoliating particles inside that slide around which avoids users from being too harsh. Adding water emulsifies it for removal. Has a sweet scent. This would be my first time using cleansing cream because I've always thought that they would leave a certain greasy feeling behind but I was proven to be wrong! As with all Sothys products, it comes in its own scent that is just so relaxing. 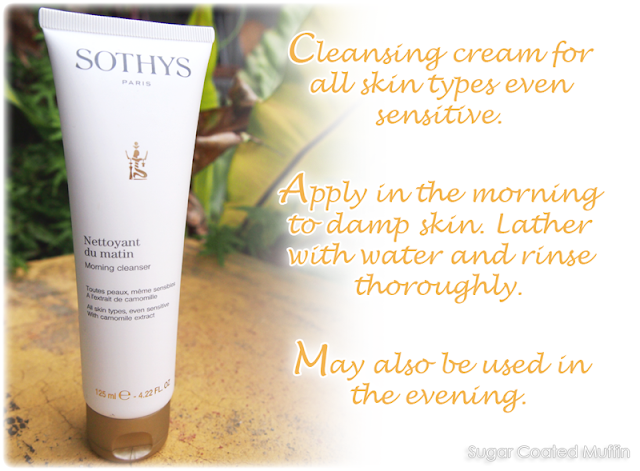 Like the Cleansing Milk, it is very gentle as well and my face feels smooth and soft. 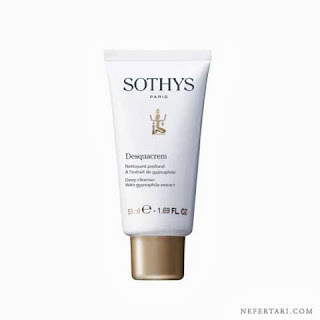 Meant for deep cleansing, it removes things produced naturally like sweat and sebum. Probably one of the best lotions I have ever tried! Being in the vitality range, it smells of oranges too (it's supposed to be grapefruit, I guess) ^_^ So refreshing, it's almost like I'm splashing orange juice on my face. Ingredients : Aqua, Butylene Glycol, Glycerin, PPG-26-buteth-26, Phenoxyethanol, Parfum, PEG-40 hydrogenated castor oil, Propylene Glycol, Glyceryl acrylate, Disodium EDTA, Sodium benzoate, Limonene, Citral, Grapefruit extract, Alpha-isomethyl ionone. Despite it's orange bottle, the lotion is actually clear. 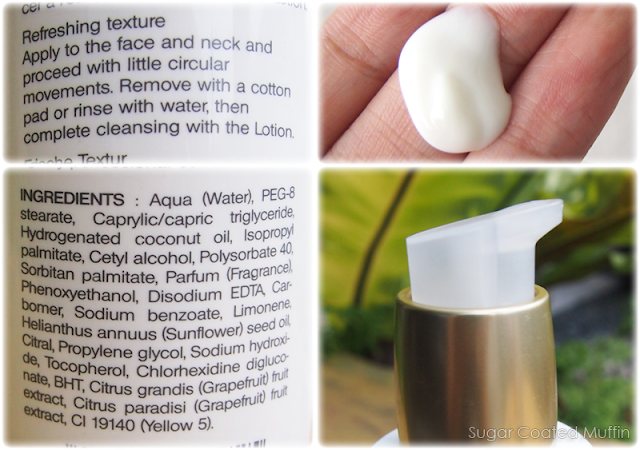 I love it because after patting it in, my skin feels very dense with moisture and is velvet smooth x_X No other lotion/toner has made me feel this way before. 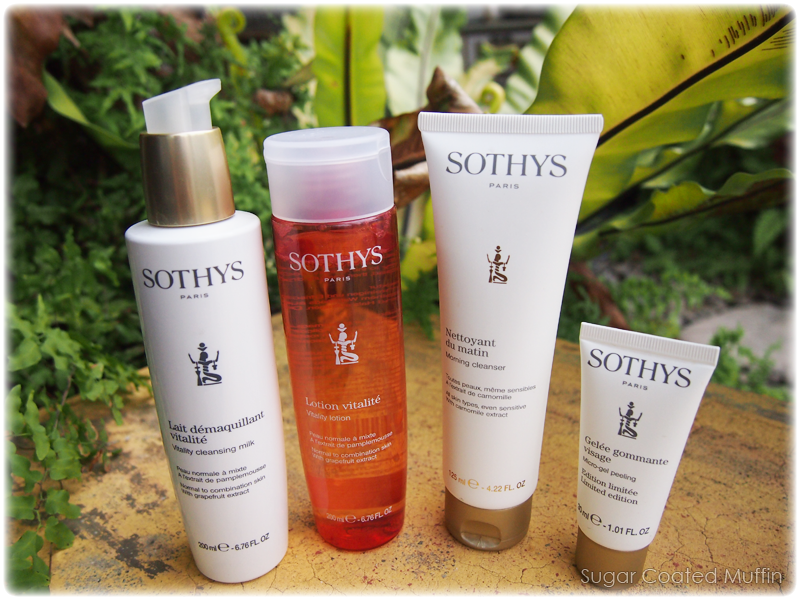 You can purchase this set at any Sothys dealers ;) After trying out the set, I can conclude that they were right to say that their products not only function well but have different textures and scents to make the process enjoyable. You can also proceed to deep cleansing with the Sothys Desquacrem which prevents blackheads and whiteheads. 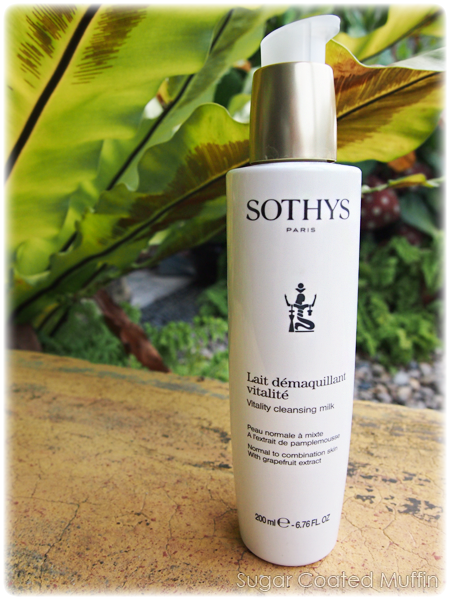 The 2 Vitality range products I received were for Normal to Combination Skin so it is important to choose (and smell!) the range that suits you best.